With more and more states legalizing the use of medical cannabis, the need to automate the process of growing cannabis has become increasingly important for cannabis growers. Growers have been looking for ways to cut down the cost of production, especially since the industry is continuously growing which is resulting in the decrease of weed price. One of the methods that cannabis growers are considering is fertigation. This is basically an automated way of injecting nutrient to the plants, which cuts back on the time needed to mix nutrient. With this method, growers will be able to pay more attention to the cannabis plants themselves. Fertigation works by automatically injecting fertilizer to the irrigated water. The process will eliminate the need to manually mix the fertilizer, which cuts down a significant amount of time and resources in feeding the plants. With fertigation, the nutrient solution will be processed in a water tank and will run through the water lines going directly to the plant. It basically operates just like any type of irrigation system. With the use of a pump, the fertilizer is then fed into a series of plants depending on the schedule that the grower will set. This method of feeding fertilizer to the plants has already been used in the horticulture industry for a long time. It’s truly effective in the sense that it delivers an already dissolved nutrient to the irrigation system that will then feed the plants. Aside from the obvious benefit of saving time and effort, the process of fertigation also means that the plants will be fed with enough nutrients which allows them to grow more effectively. Whether it’s used as a slow release fertilizer or to amend the medium, fertigation is indeed very effective. Once the nutrients are fed through fertigation, it will linger in the soil or any growing medium until it’s absorbed by the plant. Another benefit of fertigation is that it can be easily attached to your existing water system. Flood and drain, drip lines, and capillary mats can benefit from fertigation’s precise delivery of nutrient to the plants. Sure, fertigation is a bit pricey, which is one of the reasons why some growers are hesitant to invest in it. However, the initial cost of installing this system can be recouped very fast. The low overhead cost of operating this system will be enough to pay off the initial amount that you spent for it. In addition, with its ability to precisely send nutrients to your cannabis plants, you can guarantee excellent quality and growth consistency. 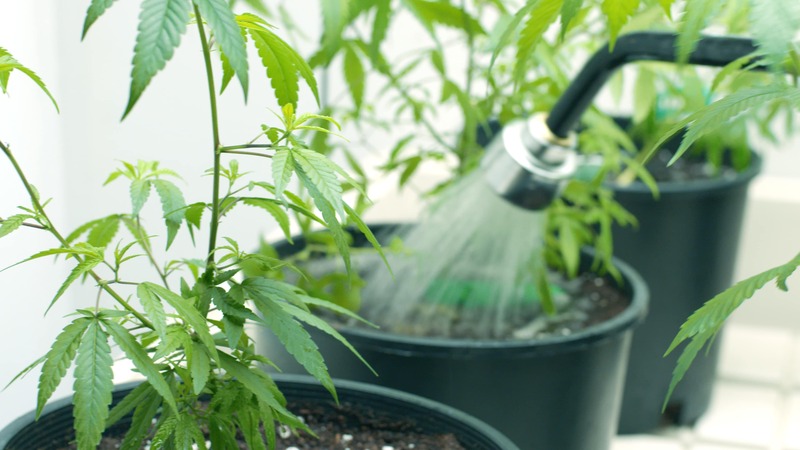 For cannabis growers who want to know more about fertigation and the benefits of implementing this system, you should get in touch with fertigation companies that are willing to offer onsite inspection and provide you with the information that you need. When it comes to scaling up your cannabis business, fertigation is indeed a tried and tested process that can lead to a higher rate of growth consistency.